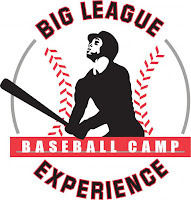 Big League Experience (BLE), out of Oliver BC, was in Calgary on the weekend of March 3rd to run the 2012 Alberta Super Clinic. BLE have been running these clinics all throughout BC for the last 14 years, and have been coming to Calgary to provide Albertans with their top level coaching since 2004. It was a very successful weekend for everyone involved, from the instructors and scouts to the participants. The clinic ran for 2 days and the players who participated benefitted from the opportunity to get instructions from many top tier coaches. 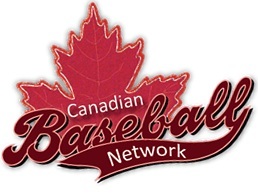 The instructional staff was led by BLE co-owner and director Marty Lehn who is the Milwaukee Brewers scout for Western Canada and whose background includes coaching at the international level for Team Canada at two World Qualifier tournaments, three World Championships, three Olympic Qualifiers, the Pan-Am games as well as at the 2004 Olympics. Additionally, he has led Team BC to 3 National Championships and was named Canadian Coach of the Year in 1998. Lehn was joined by Red Sox Canadian Scout Chris Pritchett who was drafted in the 2nd round by the Angels in 1991 and played with them throughout his MLB career until finishing up with a stint in Philadelphia in 2000. The coaching staff for the weekend was boosted by coaches from the local Pro Baseball Force Academy (PBF) in Calgary. These included Jim Lawson who was drafted and played for the Oakland A’s organization and pitched for the Canadian National Team, Joe Sergent who pitched for the Florida Marlins organization and is a local hero, holding many Calgary Viper pitching records, Brian Rios who was drafted by the Tigers and played both for them and the Orioles organization up to AAA, and Colin Moro who is very well known in the local baseball community as a long time Calgary Viper fan favourite and was named CBN’s Independent League Offensive Player of the Year in 2009. Other PBF coaches also participated including Bryan Allen, Dustin Pate, Tad Desimone, Jordy Alexander, Dave Ruhr, Wayne Bennett and Jordan Wong. According to Lehn, PBF’s coaching staff that helped out during the clinic “is as good as anybody’s” and he wished these kind of developmental opportunities for up and coming players were available when he was younger. It was also an opportunity for the coaches to learn from each other and improve and be able to pass better information on to the players. Lehn always looks forward to this annual clinic. He enjoys working with the players to help them get the “right information from guys who have played the game and been around it to help them get to the next level whether it’s college or the pros”. Additionally, Alberta has a very good talent pool, and “it’s a huge plus, as a scout, to be able to see these guys first hand”, he added. 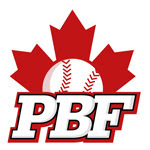 Not only did he see all the PBF academy players who attended the camp, but while in the area also took a look at some of the top players from the University of Calgary, Vauxhall and Foothills baseball programs. He sees a lot of talent coming out of Alberta in the next couple of years and is glad for the opportunity to get a leg up on other teams’ scouts. Pritchett shared many of the same sentiments as Lehn. He believes with the high level of programs currently being run in the province, the development will result in churning out many more players in the future, and he definitely sees Alberta as a place to spend a lot of time scouting. He got a good look at all the players in the camp and said that almost all the guys from PBF participating in the BLE camp were worth looking at and he also benefitted from the opportunity to look at the players from the other local baseball programs. Pritchett was also impressed with the level of instruction given by the local coaches. “The PBF guys are all very knowledgeable, having all played at different levels” he noted, adding “they all want to make the teams better and you can see everybody has genuine interest in getting the players to the next level”. Jim Lawson also thought it was a great weekend for both his players and staff. Most of his coaches who run the spring and summer teams as well as the winter academy program contributed during the weekend and it gave them an opportunity to share information and learn from the BLE instructors. And of course it was a huge benefit for the players participating getting the “opportunity to get one on one instruction from some of the best coaches around”, Lawson said. Aside from these weekend clinics, BLE also offers week long camps to players of all ages throughout the summer. Take a look at their website for more details.